In the third prelude to the Essay Film Festival (24-29 March 2015), Holly Aylett will present three films by Marc Karlin: For Memory (1982, 104 minutes [extracts]), A Dream from the Bath (1985, 22 minutes), and The Serpent (1997, 40 minutes). 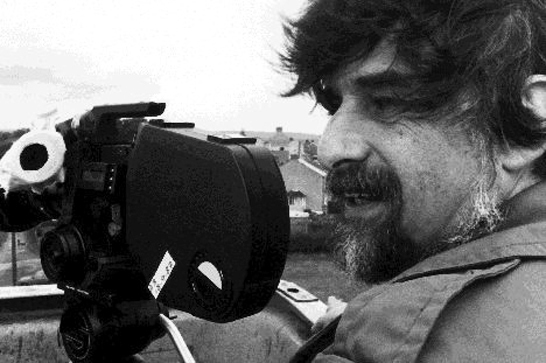 On his death in 1999, Marc Karlin was described as Britain’s most significant “unknown” film-maker. For three decades, he was a key figure within Britain’s independent film community; a founding member of the Berwick Street Film Collective, active within the Independent Filmmakers Association, a vital voice in the creation of Channel 4 and a founding member of a group that published the independent film journal, Vertigo, in 1993. His groundbreaking films for television in the 1980s and 1990s combine documentary and fiction film tropes to explore the themes of memory, history and political agency. Karlin was a committed political filmmaker, but his dense, yet subtle films are also rich meditations on the nature of filmmaking, the formation and collapse of ideologies, and the endurance of the human spirit. Holly Aylett is a documentary filmmaker, a founder member of Vertigo, and co-founder of The Marc Karlin Archive (http://spiritofmarckarlin.com).